Having recently skated in just his 100th NHL game, and nine months from turning 21, Eichel doesn’t have a wealth of experience competing at hockey’s highest level. What the player selected second overall by the Buffalo Sabres in the 2015 Entry Draft does possess, however, is the ability to consistently wow the hockey world with his top-rate skills. You can count veteran forward and team captain Brian Gionta among Eichel’s biggest backers. It’s a common occurrence for the Massachusetts-born Eichel ever since he burst onto the NHL scene in 2015-16. He finished second in scoring on the Sabres' last season and second overall in rookie scoring. At the World Cup of Hockey, Eichel contributed a goal and an assist for the upstart Team North America squad. The centre was primed to help Buffalo work their way back into the playoff picture in 2016-17 after five years on the outside looking in. 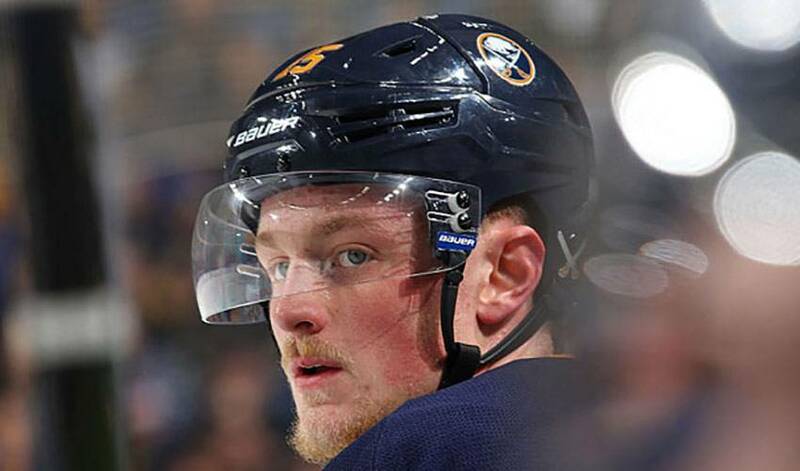 A serious ankle injury in a scrimmage cost Eichel the first 21 games of the campaign, putting the team in peril of extending its post-season drought. All Eichel did in his return – at the end of November – was score a goal and add an assist in a 5-4 overtime win against the Senators. He was missed in many ways. That was evident on draft day. Rather than view himself as the centerpiece of the Sabres, Eichel spoke about his role in much different terms. His teammates will tell you it’s the perfect fit for everyone. “As a person, you see him maturing off the ice in how he prepares himself day in and day out,” offered Gionta. He also happens to be a heck of hockey player, too.